As most Washingtonians can attest, a formal gala or charitable event is always just around the corner. Add a black tie wedding to the calendar and a tuxedo becomes a wardrobe necessity. We guarantee a bespoke Geoffrey Lewis tuxedo with exceptional fit and sophisticated style will definitely set you apart from the crowd. Tuxedo measurements are identical to that of a suit, but classic design elements make tuxedos have a different appearance. The Geoffrey Lewis house style is a peak lapel one-button tuxedo, but we can design any style from classic traditional to fashion forward. Some tuxedo options include peak, shawl, or notch lapels as well as satin/grosgrain formal treatments on numerous parts of the tuxedo. Along with various black fabrics, you can also consider various midnight blue samples for a more modern look. 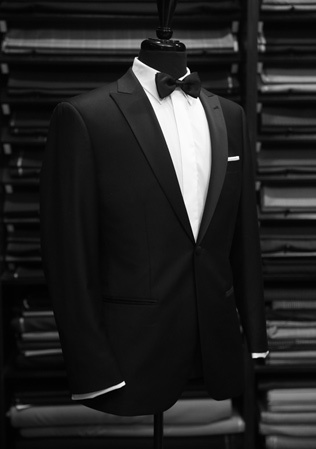 From our collection of fabrics from world-renowned mills, you are sure to find the perfect fabric for your new tuxedo. 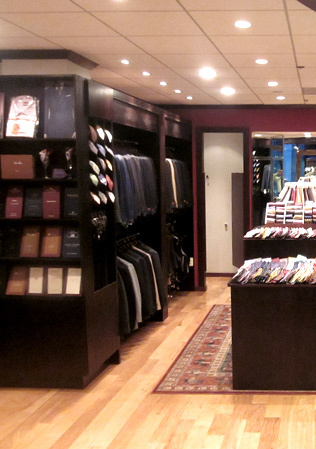 Our Custom tuxedos start at $1,300 and prices can vary based on fabric selection.